1 weeks holiday Saturday - Saturday, Weekends & short stays available on request. 3 & 4 Nights available during March, April, September & October (not including school holiday) please state how many nights required on request form. Hafan Y Mor is one of Havens flagship family holiday parks. 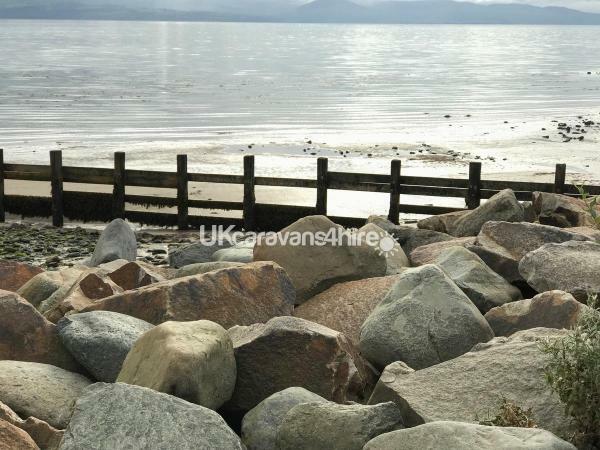 The caravan is situated 2 minutes from the beach in a quiet area of the park but not far from most of the amenities and is surrounded by fantastic landscaped gardens. 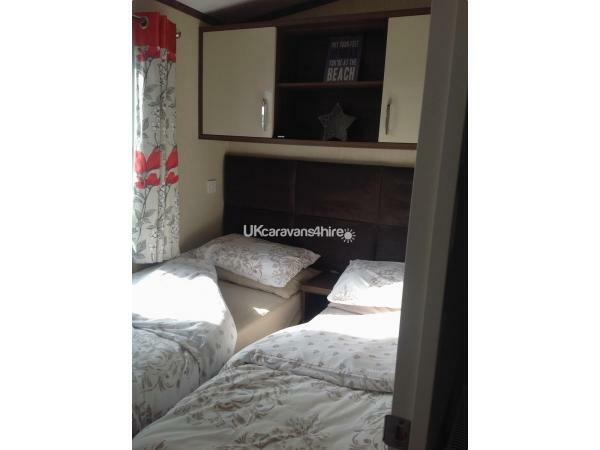 The Caravan is classed as Platinum accommodation and has a real feel of home from home and is well equipped with all you will need for your holiday plus lots of extras. 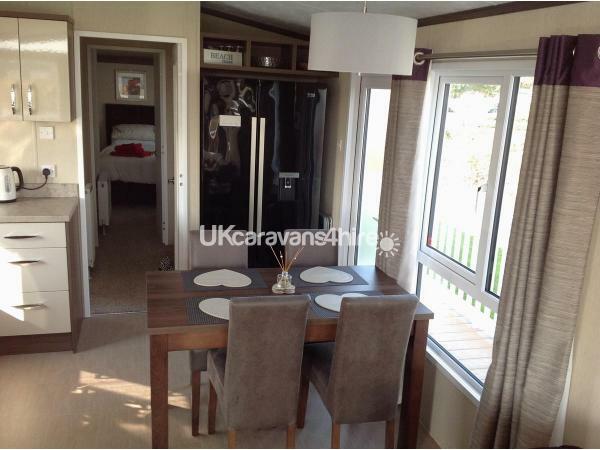 This Caravan has 2 bedrooms sleeps up to 6 people. Bedroom 1, King size bed HD TV/ Freeview. 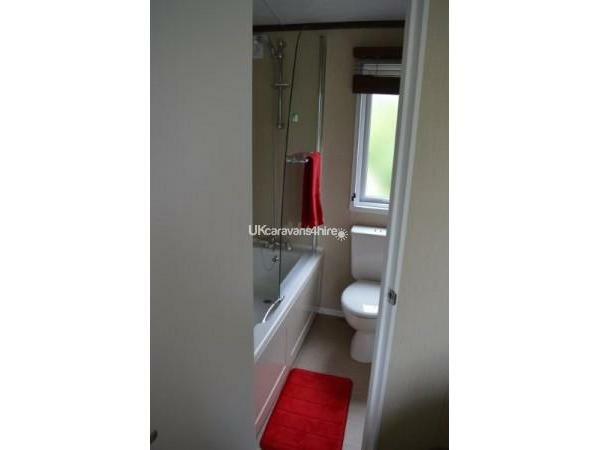 Walk in wardrobe & ensuite with full bath with shower. Hairdryer. 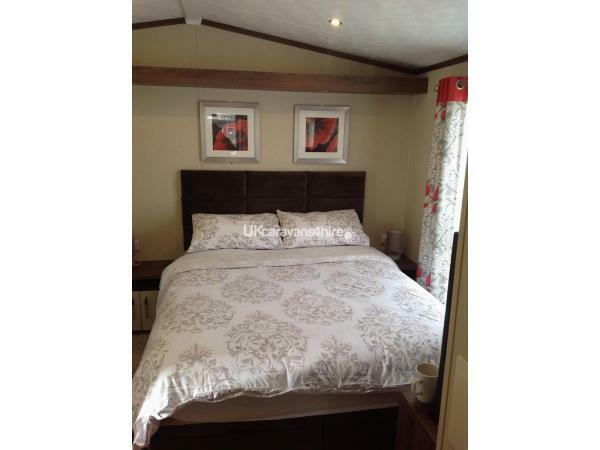 Bedroom 2, 2 x singe beds, wall mounted 26" LCD TV/ Freeview with built in DVD player and fitted wardrobe. Pull out double sofa bed in lounge. The bathroom has a toilet, shower, sink and shaving point. The kitchen includes all crockery, cutlery and cooking essentials, full size gas cooker, microwave, 4 slice toaster, kettle, American style fridge/freezer with water dispenser & a breakfast bar with 2 bar stools. The lounge area has a very comfortable large fabric corner sofa and a separate armchair. Separate dining area with table and 4 chairs. 47" LED full HD TV, HD Freeview, X Box with games an a small selection of DVD's but feel free to bring your own too! 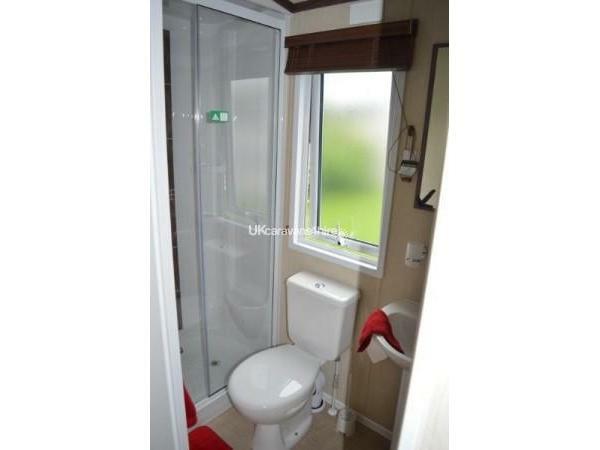 Double Glazing and full central heating throughout. Outside there is a car parking space, a large decking patio area with table, chairs with cushions. 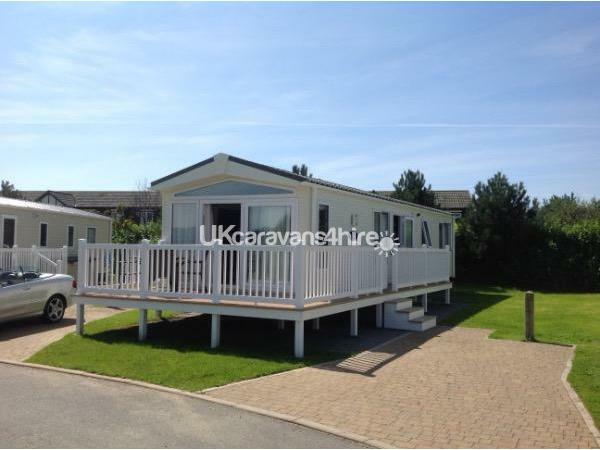 The caravan is situated close to the beach (2 minute walk) in a very quiet and peaceful area of this vibrant holiday park. Only minutes away from the coastal path and various beaches. Hafan y Mor is one of Havens biggest holiday complexes and has everything you need for a lively holiday or just a chill out break. The leisure facilities have been upgraded and a brand new pool complex is now open. Large heated swimming pool complex with flumes & slides Brand new and updated facilities for 2017. Prices includes bedding & towels so no need to take up room with these more room for flip flops! Prices DO NOT include Fun Works Passes, these can be purchased (if required) on day of arrival at Reception. £200.00 Non refundable deposit required on booking and balance to be paid 6 weeks before holiday start date. Security bond will be refunded within a week of departure. We had a brilliant time here, really relaxing and lovely cosy caravan which is a home from home and was spotlessly clean. The only reason for scoring down slightly on facilities is because we couldn’t find an iron or ironing board in the caravan and think this would be a really useful addition. We would definitely return here, it’s in a lovely quiet location and really is a very luxurious caravan, one of the nicest we’ve stayed in. Thanks for letting us stay! Thank you Joanne & family we are really pleased you enjoyed it and you will be welcome to come back anytime.